This is a wonderful original production drawing from the 1954 Disney short, Grand Canyonscope. This short is beloved for the gorgeous scenic backgrounds that were created by Eyvind Earle. 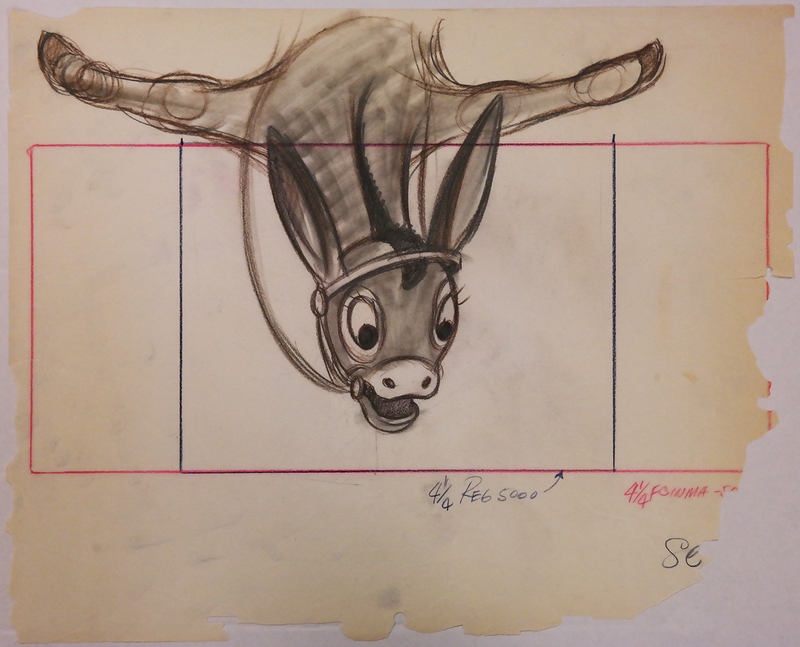 This particular drawing features Donald riding his Donkey and taking pictures as he tours the canyon. The untrimmed paper measures 12.5" x 15.5" and the image itself measures 4.5" x 5". The piece is in great condition overall.